<strong>TOP TROP:</strong> Layovr says its adventurously blended “trop rock” music fuses a love of the outdoors with a wide variety of reggae, rock, and synth influences. Summer will close out with a bang on Saturday, August 20, at Pershing Park, where the entire community is invited to a free, family-friendly, picnic-perfect day full of some of the very best homegrown music S.B. has to offer. Bands will rock the park’s historic Plaza del Mar bandstand stage in the first concert to take place there in 10 years. Sponsored by KjEE and emceed by John Palminteri, with support from the S.B. Bowl’s Education Outreach program, the City of S.B., and its Parks & Recreation Department, this summer send-off marks the end of a season and, in some ways, the end of an era, just as it kicks off new beginnings and bright futures for some of S.B.’s most musically gifted youth. The concert is the last to be organized by Roger Perry, the insurance broker who has quietly but not unnoticeably touched the lives of thousands through his generous volunteer efforts on behalf of the city’s music community (and, it should be noted, assists with the insurance needs of our very paper). Perry began his valiant volunteerism after seeing his son JT’s band perform several years ago, which was when he realized that young musicians in this town needed more support. Many free Skater’s Point concerts, youth band battles, Fourth of July festivities, and Fiesta shows later, Perry has decided to hang up his show organizer hat as one son leaves for college and another begins his pursuit of soccer dreams. Perry says he hopes a successor will step in to continue providing music opportunities for youth. “It’s about the opportunity and the notoriety for the kids in our community,” he said. Until then, here’s a look at a few of the notable bands who will be playing this Saturday. As testament to their musicianship, the band was hired on as Playback Recording Studio’s house band this year, doing session work for recording artists. 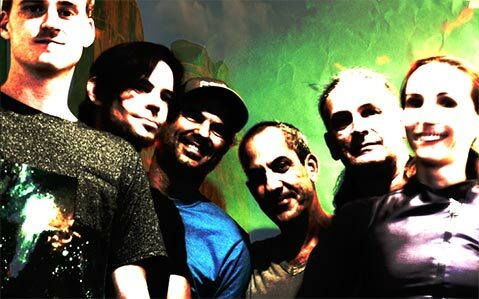 “It’s helped us refine our chops as studio musicians. We’ve gotten to work with some really cool upcoming artists, and it’s always exciting watching new artists develop and being a part of that process,” Semow said. 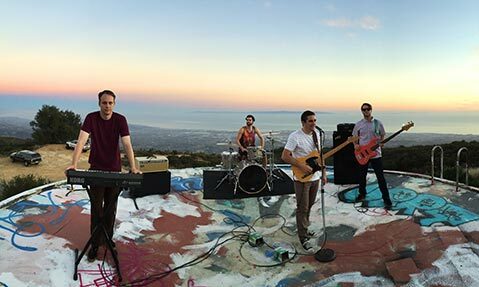 The free KjEE Summer Rock Wrap-Up with Spencer Barnitz, Voodoo Lounge, La Boheme, The Agreeables, David Loeppke, Let Flo Go, Young Gunz, Brandi Rose, Vital Signs, and Layovr takes place Saturday, August 20, in Pershing Park (Cabrillo Blvd. and Castillo St.) from noon-8pm. See tinyurl.com/KjeeSummerRockWrapUp.